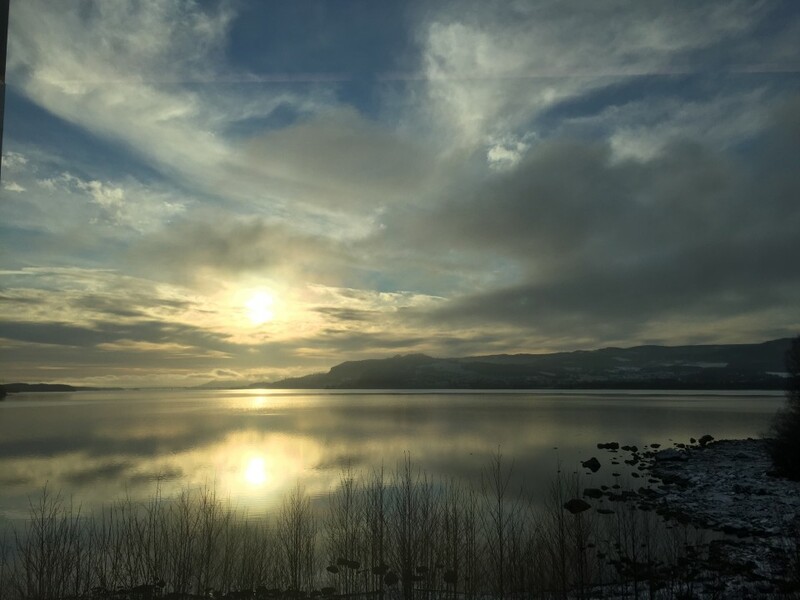 18 days before winter solstice the days are really short, even though Lake Mjøsa is a long way south of the arctic circle. This photo was taken around noon today, the sun won’t get much higher above the horizon in another month or so. But it is still welcome.